Imagine watching a documentary that went in depth into the developments of facebook, as it was first sweeping across college campuses. Or a look at the conception of the internet when email addresses were not a common possession. As the virtual currency that has been dubbed Bitcoin, another potential leap in interactive technology ,advances through its early stages, we have a chance to look at its fascinating development before it becomes a thing that has already happened. We owe this timely look at Bitcoin to filmmaker Nick Mross’ brother, Dan being an early enthusiast of the phenomenon. Seeing his brother’s passion gave Nick the idea to document his interaction with the currency, with Dan‘s expertise making him both a subject and collaborator in the project. Some fundamentals are established early on including analogies to get the average layman thinking about its most significant features. Bitcoin is a virtual currency - the internet’s first - that is exchanged between people online. According to Dan, it boasts the quality of being “money that is not manipulated by higher powers.” Because software tracking the transactions of Bitcoins has been developed in open source code, which essentially means anybody can see it and add to it, it originated as something of a public project, open to anyone with the technological capacity and interest in getting involved. This lack of exclusivity would come up as a recurring theme, which Bitcoin supporters would prop up as one of its major tenets: “There is no central authority” overseeing its use. Bitcoin holders could go about transactions instantly and without the extra costs or restrictions usually associated with international transactions. In the opening scene of the movie, Dan is our physical proxy to the world of Bitcoin. We are taken through his backyard in a typical suburban sprawl of Pittsburg and into the basement where he introduces us to an ordinary looking computer, but one whose intricate wiring marks it as a Bitcoin miner. ‘Mining’ on the surface, is a fairly simple concept essential to understanding the groundwork of how bitcoin works: The machines take painstaking measures to verify authentic Bitcoin transactions and record them into a ‘public ledger’ open for all to see and verify. This also generates new Bitcoins into circulation with miners being compensated for their recording efforts. Think a bit more on how this works and there are complex layers that probably need to be studied elsewhere to more fully understand. Dan’s wide-eyed initiation into the world of Bitcoin mining becomes our jumping off point into a vast realm of developments around this new technology. For the purpose of delving into a topic as cutting edge current as this, you’d want the delivery to be on par with the content. And yes the film is fast paced, filled with sharp colors and animations moving briskly about the screen. An abundance of information is carried across a relatively short span of time, occasionally interspersed with enlightening looks at the personalities of those drawn to Bitcoin's lcd glow. The subject is taken on chronologically, looking at Bitcoin’s enigmatic architect Satoshi Nakamoto, which may or may not be a pseudonym for one or more people, who became further and further distanced from the program the more notoriety it gained until severing all attachments. It also follows the mercurial rises and dips of its parity to international tender, as well as its changing status among analysts and government agencies. Attention is given to a few key players who launched business ventures based around Bitcoin’s growing prominence, from New York City based Charles Schrem’s Bitinstant, which made it possible to more easily purchase Bitcoins, to San Francisco collective Tradehill, a Bitcoin currency exchange operation that moves from a bohemian operation in The Mission to renting out premium office space in luxurious Soma Valley. The view is also expanded outwardly to look at various individuals and communities that have come to be entwined with Bitcoin, on both sides of the law. At a libertarian retreat/festival that takes on Burning Man like eccentricity, Bitcoin is welcomed by all of its vendors. Meanwhile, we get a glimpse at an uninhibited drug dealer who speaks fondly of the relative safety and ease of conducting business exclusively through Bitcoin exchanges. Although the brothers Mross have an unmistakable enthusiasm and vested interest in Bitcoin’s future, an excellent job is done of presenting both positive and negative developments. Along with the soaring business startups, there is the failure of a major company due to hacking and inability to keep up with demand. Virtual black markets trading in narcotics have taken to Bitcoin’s ease of use and wary government agencies have charged some of the most successful entrepreneurs, including Shrem, with violations considered worthy of prison time. The Rise and Rise of Bitcoin is an incredibly immersive trip into an invention with a history that feels like it was right around the corner and potential to shape the the immediate and not so immediate future in unpredictable ways. After the screening a conversation was held with both Nick and Dan, as well as the creator of Bitinstant, Charlie Shrem. It was noted that this may have been Schrem’s first public appearance in some time, having been under house arrest for charges of money laundering brought against him by the US government. Their appearance solidified a strong belief in the good that can come from Bitcoin, going far beyond pursuit of profit. 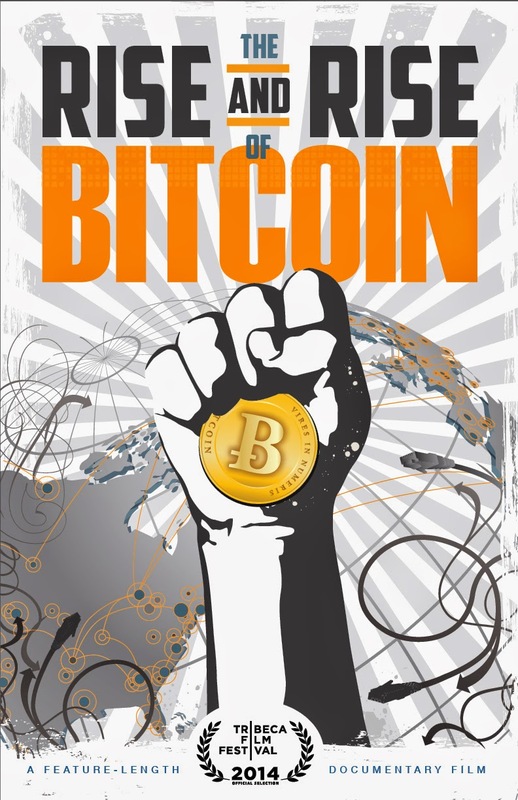 Shrem described the community building around Bitcoin is an idealistic one, free of prejudices. On its future, Dan, whose initial mining activities had been curtailed, briefly mentioned projects he is currently working on that could apply the fundamentals of Bitcoin to social media platforms such as Twitter. Freedom from central control systems seems to be the main provocation for seeing through Bitcoin’s tumultuous path ahead.